On September 23, 2018, from Noon – 2 PM Pacific/3 PM – 5 PM Eastern, Joshua Green, Music Supervisor of ITV America, joins us for what promises to be an amazing Sync Listening Session. Over the last ten years, Joshua Green has Music Supervised all aspects of music licensing, music strategy, custom music creation, and production for hundreds of broadcast television series, digital media, and award winning films. 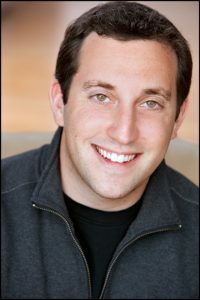 As Music Supervisor for ITV AMERICA, Green has managed the music creative, music licensing, & music administration for over 65 projects including hit series such as Emmy Award nominated Queer Eye (Netflix), The Real Housewives of NJ (Bravo), Hell’s Kitchen (Fox), Pawn Stars (History), Fixer Upper (HGTV), Cuba’s Secret Shark Lair (Shark Week), 30 For 30 (ESPN), Tiny House Nation (A&E), Cheap Eats (Cooking Channel), Gucci Mane and Keyshia Ka’Oir: The Mane Event (BET), Girls Incarcerated (Netflix), and American Grit (Fox). Before joining the team at ITV America, Green operated his own company (Intergalactic Green Music), overseeing all aspects of the music creative / music supervision / publishing administration / production for television, film, live events, and digital media. Projects included Emmy Award winning Peg + Cat (PBS), digital media / ads for Google, shorts for Nickelodeon, Broadway productions in NYC and London (“A Tale of Two Cities”), live events at Radio City Music Hall (“Lord of the Rings”) and Carnegie Hall (“The New York Pops”, “The Muppets”), touring shows for ImaginAerial Circus, Celebrity Cruise Lines, and bandleader / executive producer for Green’s passion project, Josh Green & The Cyborg Orchestra, recently named Downbeat Magazine’s “Best of 2017”.